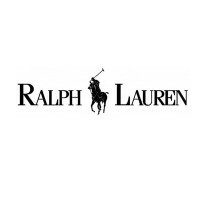 Ralph Lauren is an industry-leading brand in designing, marketing, and distributing high-end lifestyle products such as apparel, fragrances, and accessories. For more than 50 years, the company has progressively expanded product lines as well as sales channels across international markets. A globally renowned designer named Ralph Lifshitz started the company in 1967. The goal is to reflect the unique American perspective through innovative lifestyle branding. The company made an impact on how men and women dress and view fashion. Among the prestigious awards received by the company are the Restore America Heroes Award, World’s Most Admired Company, Clio Image Award, and the first John B. Fairchild Honor award. Currently, there are about 23,000 employees working for the company. Employee benefits include employee discount (30% in store and 50% online), access to 401K plan without tax, healthcare insurance from United Healthcare, gym discounts, paid holiday vacations and sick leave, and defined contribution pension plan. Many employees love working for the company because it provides an assortment of welfare benefits (such as those mentioned above) and offers impressive career development opportunities. How Old Do You Have To Be To Work At Ralph Lauren? Applicants must be at least 16 years old to work with the company. High school graduates are also welcome to apply. However, associates, regardless of age, should have great communication skills and knowledge in sales. Opportunities include positions in retail and in the corporate office. Entry level positions include sales associate, store manager, and stock associate. If you wish to go corporate, aim to become a merchandise planner, a marketing specialist, or a project manager. Sales Associate: A sales associate operates cash registers and communicates with customers. They keep retail stores clean, stock merchandise, and make sales by using suggestive-selling strategies. Job responsibilities also include development of boutique environments to project a sophisticated aura that perfectly suits the brand. Assistant Designer: An assistant designer assists the design team from concept to sales. They help in executing sale sample information in order to guarantee high-quality aesthetic based on the standards of the brand. This job also requires the capacity to achieve design milestones on a weekly basis. Production Artist: A production artist creates web-ready images from creative designs. They work with art and creative operations directors using available technology in order to produce premium digital materials. Other job responsibilities include handling basic designs like texts and layouts, and creating technical recommendations for execution planning. Associate Merchandiser: An associate merchandiser executes category and brand strategies, maximizes financial plan, and improves branding. They help develop seasonal products based on sales targets, product trends, and SKUs. Job responsibilities also include formulating and presenting clear and relevant branding campaigns to increase sales. Administrative Assistant: An administrative assistant is mainly tasked to manage the company calendar. They plan and organize meetings, conference calls, and even appointments. It is also their responsibility to process and track monthly expenses as well as answer emails and phone calls. Account Specialist: The main responsibilities of an account specialist is to work directly with the accounts and sales department. They manage intercompany accounts, international accounts, specialty stores, and department stores. Account specialists also track and update orders according to sales and customer requests. Customer Operations Analyst: By conducting analytical investigations on customer accounts, a customer operations analyst prevents unexpected chargebacks, resolves deductions such as offsets, write-offs, and settlements, and minimizes time when resolving open deductions. They also create, update, and enhance business operation tools, producing the necessary reports in the process. Temporary Analyst: A temporary analyst works with the transportation providers to ensure consistent and reliable service. Every day, they ensure transport partners are timely in providing accurate shipment updates. They also track partners’ performance by running status reports on a daily basis. Project Manager: Anyone given this position handles planning and developing strategies to maximize revenues. Project managers determine problems in the operations department to address issues and improve sales strategies. All in all, they are responsible in increasing the monthly profits of retail locations. Production Manager: A production manager handles calendar dates, samples, fit status, order placement, and costing. They are responsible in the development of Ralph Lauren products, from start to delivery. Other job responsibilities include communicating with overseas office, merchandise, and design teams as well as the production staff. Applying for Ralph Lauren is easy. Visit the website to find available positions and their job descriptions. Choose the job that you’re qualified for based on your skills and training. Complete the application form and submit it with your resume. The company accepts both online and in-store applications. You can send your application form and resume online or through a boutique staff to schedule an interview. Just make sure you have the qualifications to increase your chances of getting hired. Provide accurate information when filling out the application form. Read and understand what is required. Highlight your skills and sales training to show you’re a potential hire. Also, apply for jobs that come with responsibilities you’re confident you can fulfill. Update your resume before submitting your application. Make sure it looks professional and is well written. Hiring managers easily know if an applicant is fit for the next level of the application process just by looking at the resume. If you’re scheduled for an interview, preparation is important. Choose an appropriate outfit that makes you feel comfortable and confident. Bring a pen, paper, or notebook just in case you need them. Always smile and greet people when approaching them. Ralph Lauren believes that their global reach, multi-channel distribution, and breadth of products are unlike those of any other apparel and luxury brand across the globe. After the recent retirement of Karen Katz as CEO of the luxury retailer, Geoffroy van Raemdonck (Former Group President, EU Division) was named the new CEO. The company has been a leading brand for luxury lifestyle products including home furnishings, perfumes, and apparel. It’s an authority when it comes to fashion styles and trends in the U.S. and beyond. The Polo Ralph Lauren Foundation is involved in various philanthropic activities. They have healthcare projects, education programs, and even support underprivileged communities. They also fund art and site restoration initiatives. 1 How Old Do You Have To Be To Work At Ralph Lauren?